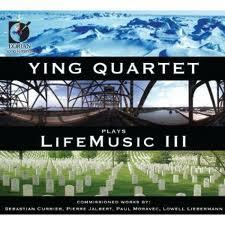 LifeMusic III – Ying Quartet (Dorian). Strong works by Sebastian Currier, Pierre Jalbert, Paul Moravec, and Lowell Liebermann in polished and passionate performances. The Currier is of special interest as he is emerging as an important voice in the use of electronic media, as in Next Atlantis on this disc. 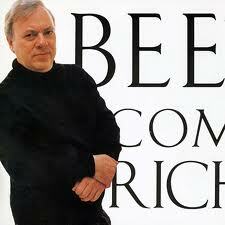 Beethoven: Complete Piano Sonatas – Richard Goode (Nonesuch). 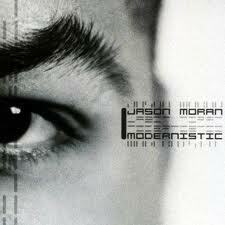 I recently returned to this set that was issued several years ago because I am starting to work on a new piano piece and have been feeding my ear with standard repertoire. I believe Goode was the first American to record the entire Beethoven sonata cycle. I love the sheer beauty of piano sound of these recordings – beautiful for the variety of colors Goode can produce, from luscious to crisp and million points in between, beautiful for the warm recording sound. I learn more about these sonatas every time I listen to Goode play them. 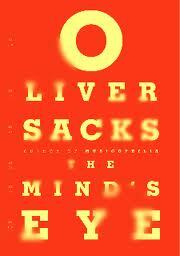 The Mind’s Eye – Oliver Sacks. The most recent collection of case studies by the neurologist and geographer of the human brain’s mysteries. The longest piece here is about the patient Sacks knows best – himself – a journal of notes kept during his struggles caused by a cancerous tumor on his eye, and the partial loss of sight that resulted.